Scale: 520, Top: solid spruce, Back: laminated lime, Neck: maple,Fingerboard: hardwood (black color), Rosette: transfer. It’s a special guitar for children. This is guitar school, ideal for any child who wants to learn to play the guitar. Size 1/2 is recommended for children 5-8 years. Size: 1/2, Scale: 520, Top: solid spruce, Back: laminated lime, Neck: maple,Fingerboard: hardwood (black color), Rosette: transfer. 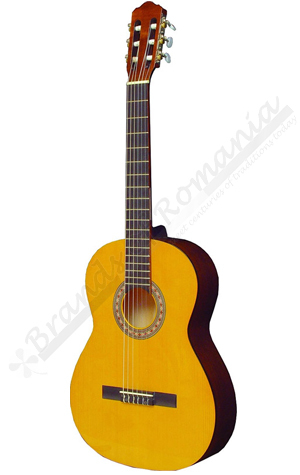 Classical Guitar for children, with six nylon strings and glossy or satin finish.